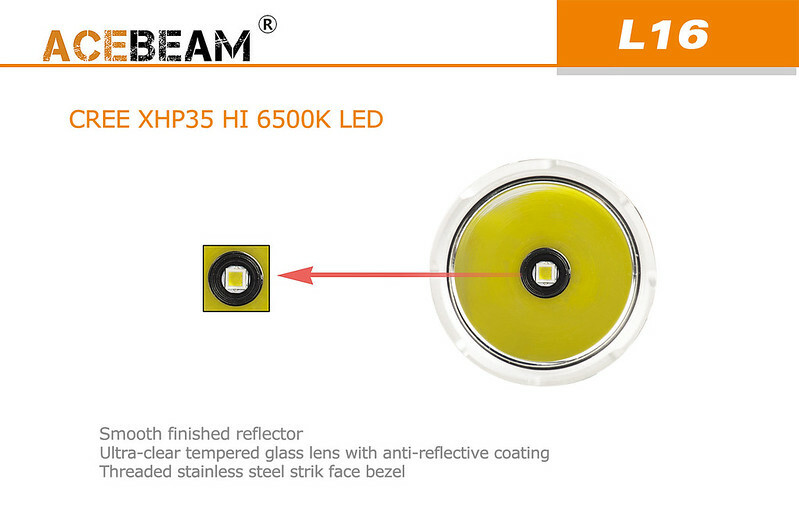 【錸特光電】ACEBEAM 2017 L16 2000流明 射程603米 內含原廠鋰電 遠射戰術手電筒 XHP35 HI - 【錸特光電】戶外品牌手電筒.戶外求生.裝備. 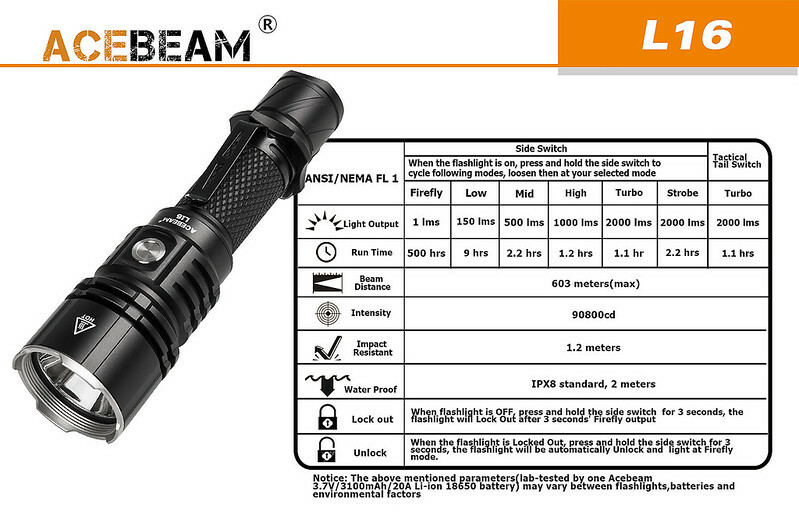 Acebeam L16 is a Micro-USB rechargeable flashlight dedicated for law enforcement, search and rescue, military and more applications. 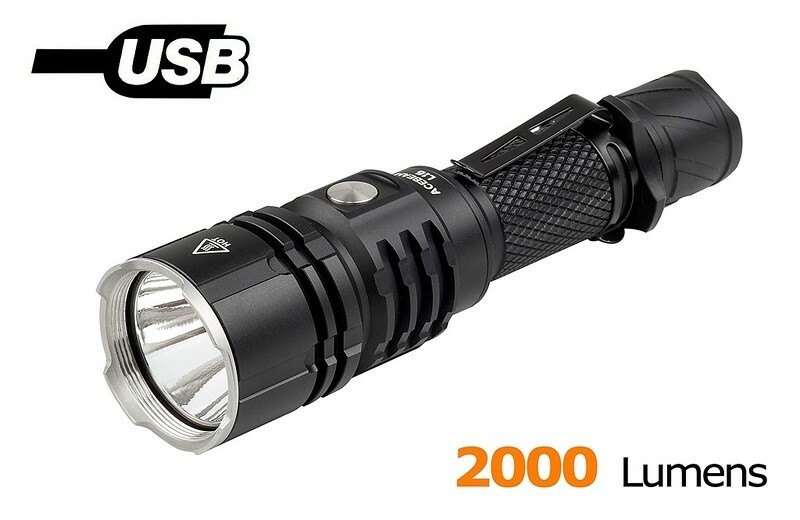 The brightest tactical flashlight is utilized CREE XHP35 HI LED,reached max output 2000 lumens and long-distance beam of 603 meters. 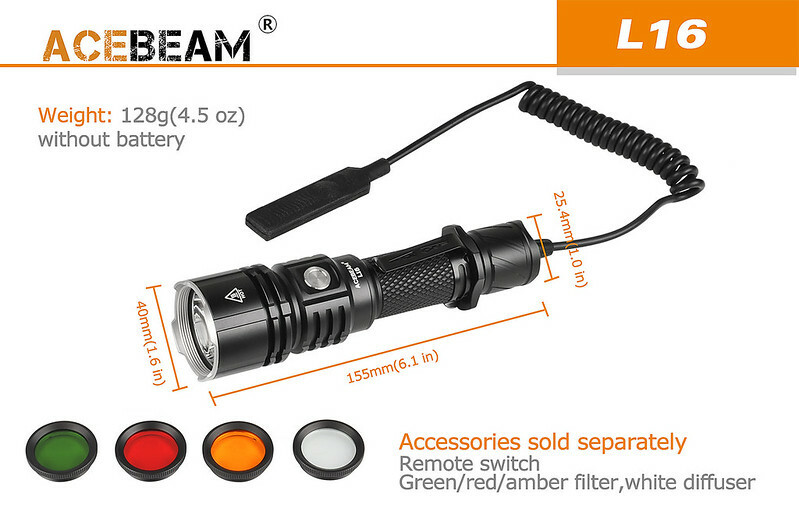 Acebeam L16 is a high-performance flashlight innovatively equipped with two independent light switches. The side switch is for 5 modes output selection and strobe activation. The tail switch is for one touch turbo mode or tactical momentary illumination. 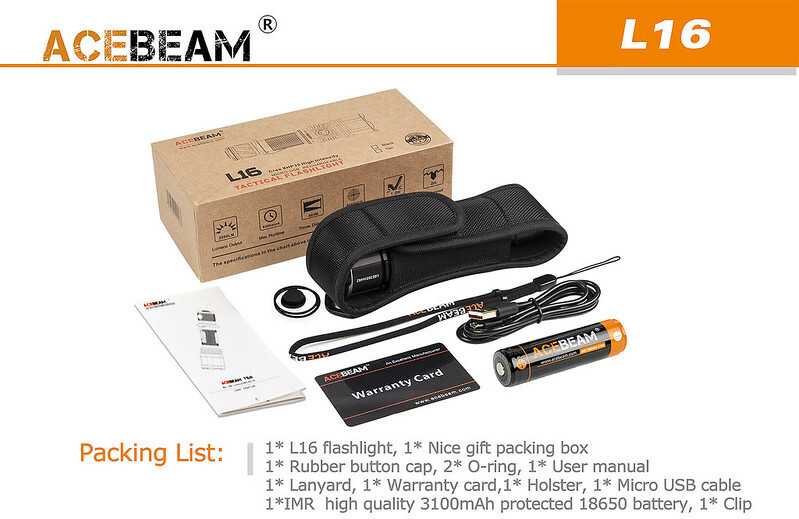 The light is powered by Acebeam IMR18650 Li-ion battery included,but is also compatible with 2*CR123A batteries. 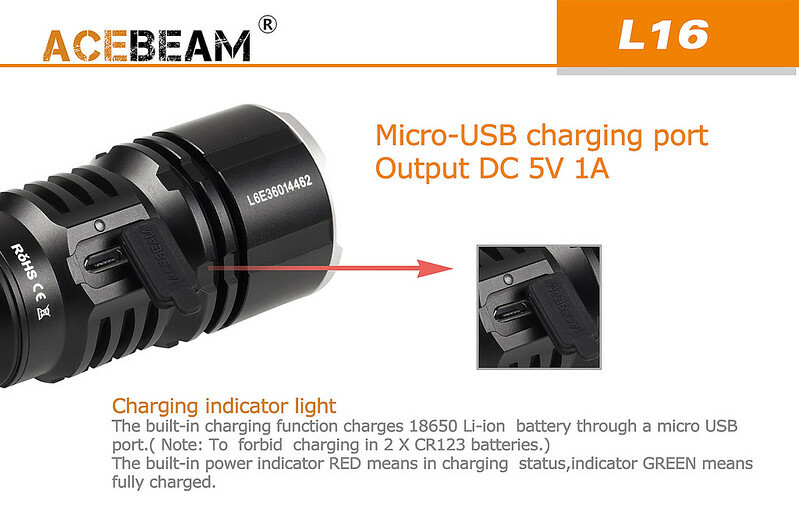 Abuilt-in charging design charges 18650 battery rapidly through a micro USB port. 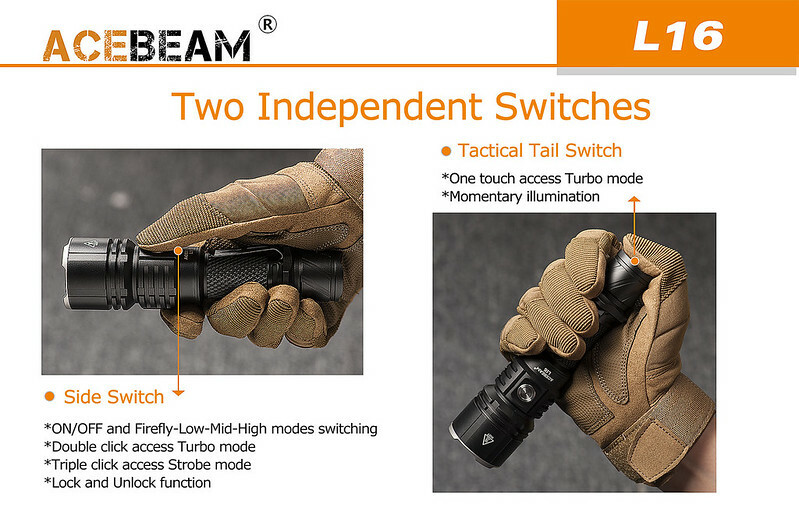 In addition,Acebeam L16 is fitted with filters and remote switches which are sold separately.They are indispensable for hunting and most tactical demands.